As I mentioned last week, I was feeling kind of sick and in a bit of a cooking funk after my two messed up recipes. As a result, I avoided the kitchen. I was eating raw carrots, cucumbers and avocados (I told you I’m obsessed!) with hummus for lunch, heating up left overs for dinner and overall, not doing a lot of things that make for good Wicked Vegan posts. But this weekend, oh…this weekend was different. Why? Because St. Patty’s Day is this week! 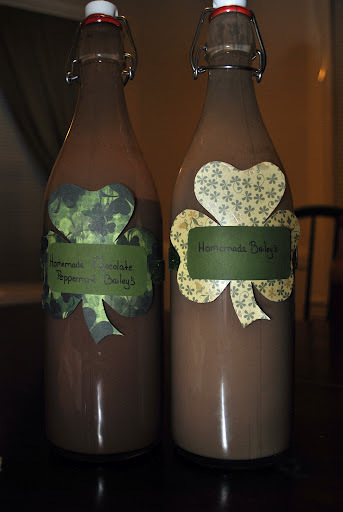 Sometimes you just need a little inspiration to get you back in the kitchen and that is exactly what St. Patrick’s Day has done for me. I was a cooking fool this weekend and as a result, I have a week full of yummy Ireland inspired meals for you! 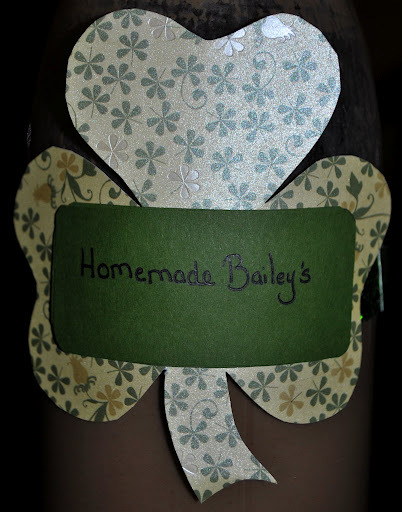 First, let’s start with homemade Bailey’s Irish Cream. 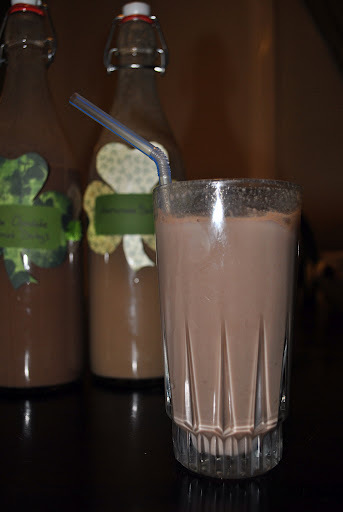 What better way to start my week of Irish inspired food than by starting with an Irish drink, which you can drink straight up on the rocks or use in a myriad of recipes. When my family and I went to Ireland in 2007, I had a nightcap of Bailey’s almost every evening I was there. It’s had a special place in my heart since then. * I used almond milk for my condensed milk, which I had never done before. The result was a very strong almond after taste, which you can pick up in the finished Irish Cream. This isn’t bad, and the original recipe even called for 1 tsp of almond extract, but it definitely is a difference between the vegan version and the original Bailey’s. As you read this, I have soy milk condensing in my slow cooker and if you check back tomorrow, I will let you know how that comes out. ** Um, sooo…the original recipe on cupcakeproject.com recommended 1 2/3 C of whiskey but, um, well… I’m a huge lightweight. There! I said it! I’m part irish and I’m a lightweight. *sigh* it’s not something I’m proud of people. 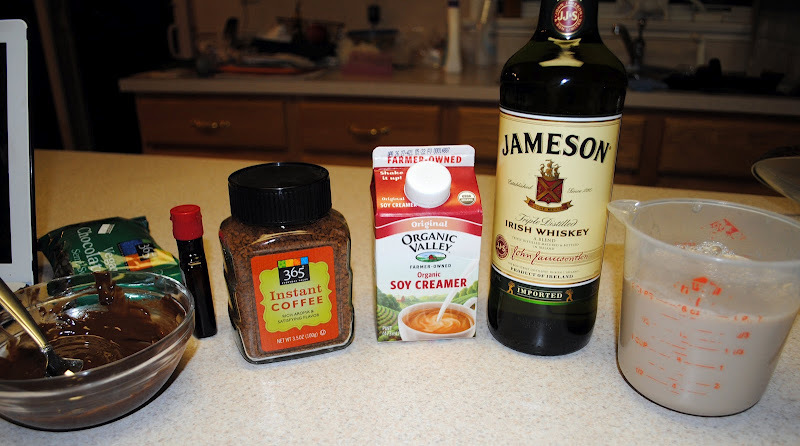 But, because of this, I only put 1 C of whiskey into my irish cream, and not the full 1 2/3 C. You can use your own discretion when adding the booze. Also, in case you were curious, Jameson is vegan friendly. That website is great for any alcohol/vegan questions you may have. Now, seeing as I have been DYING to make this recipe for about 2 months, when I finally had a chance, I couldn’t resist making 2 batches. 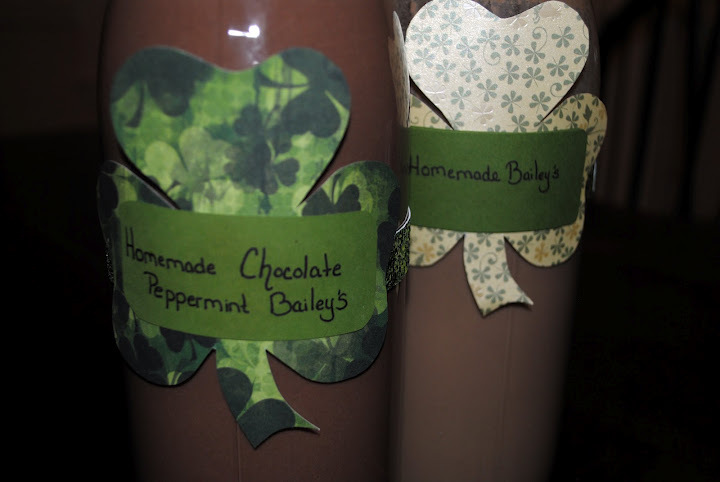 I became obsessed with Chocolate Mint Bailey’s in December when my friend, Melinda, bought me a bottle as a Thank You gift. I think I had a glass every evening, which was the perfect way to end some seriously stressful work days. 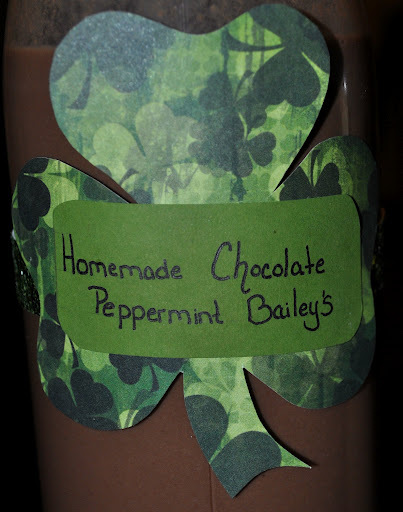 I knew that I had to attempt the Chocolate Mint version, as well as the original. Aww, perfect way to start off our week long celebration of Ireland. Cheers!